2. This prize draw is open to independent book shops in the UK only. An independent book shop is defined as, ‘a physical bookshop, independently owned, whether a single outlet or a chain with two or more branches, and which stocks children’s books either solely or as part of its overall offer’. 3. Entries must be received by 23:59 G.M.T. on 10th May 2018. The Promoter accepts no responsibility for any entries that are incomplete, illegible, corrupted or fail to reach the Promoter by the relevant closing date for any reason. Proof of posting or sending is not proof of receipt. Automatically generated entries or entries via agents or third parties are invalid and shall not be considered. Entries become the property of the Promoter and are not returned. 4. Only one entry per book shop or multi-shop chain. No entrant may win more than one prize. 6. All correctly completed entries will be entered into a prize draw which will take place on 11th May. 300 winners will be chosen at random. 7. 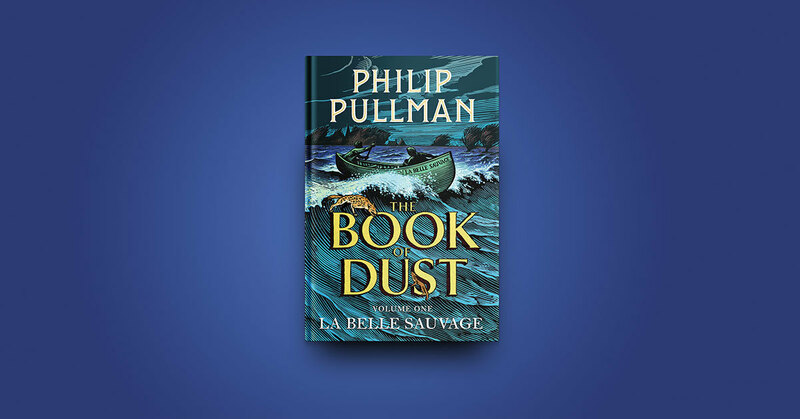 The prize for each of the 300 winners is a collection of Philip Pullman books consisting of one copy each of: Northern Lights, The Subtle Knife, The Amber Spyglass, La Belle Sauvage, Daemon Voices, Clockwork and The Firework-Maker’s Daughter. 8. Prizes are subject to availability. In the event of unforeseen circumstances, the Promoter reserves the right (a) to substitute alternative prizes of equivalent or greater value, (b) change the date of the event and (c) in exceptional circumstances to amend or foreclose the prize draw without notice. No correspondence will be entered into. 9. The winners will be notified via email or telephone by 17th May 2018. The winners must claim their prize by responding to the communication notifying them of their win within30 working days of the Promoter sending notification. If the prize is unclaimed after this time, it will lapse and the Promoter reserves the right to offer the unclaimed prize to a substitute winner selected in accordance with these rules. 10. To obtain details of the winners please email pullmanlibrarycomp@penguinrandomhouse.co.uk stating the name of the prize draw in the subject heading 4 weeks after the closing date. 11. The Promoter will use any data submitted by entrants only for the purposes of running the prize draw, unless otherwise stated in the entry details. By entering this prize draw, all entrants consent to the use of their personal data by the Promoter for the purposes of the administration of this prize draw and any other purposes to which the entrant has consented. 12. The winners agree to take part in reasonable post event publicity and to the use of their names and photographs in such publicity. 13. The Promoter may disqualify any entrant whose entry does not comply with these terms and conditions (in Promoter’s sole opinion) or who, in Promoter’s sole determination, has acted in a manner that is fraudulent, dishonest or unjust to other entrants including, without limitation, tampering with the operation of the prize draw, manipulating or rigging votes, hacking, deceiving, cheating or by harassing or threatening other entrants or a representative of Promoter. 14. The Promoter is Penguin Books Limited, 80 Strand, London WC2R 0RL. 16. These terms and conditions are governed in accordance with the laws of England and Wales. If you aren’t sure where to go from here, check out our Getting Started Video.